Mark Shed joined eTribez in January of 2018 with a clear mission to establish the outbound machine needed to fill up the pipelines of a sales team relying on him to hand off qualified leads. But before we explain how Mark and the eTribez team used the Pipedrive Gold plan to develop a structured sales process and two simple sales pipelines to streamline their approach - we need to explain the fascinating niche eTribez have found. eTribez have developed a specific software solution to this problem. eTribez organizes this data at scale to allow these companies to manage this process smoothly. Streamlining and automating is the hallmark of their product. Apart from Mark’s responsibility for setting up a structured sales process for the business - he also has the role of Sales Development Representative (SDR) for eTribez. He is responsible for deciding whether a prospect is qualified enough to pass on to an Account Executive. In more technical terms, the prospect would go from the status of Marketing Qualified Lead to that of Sales Qualified Lead. Mark needs to keep providing qualified leads to his sales team. If he doesn’t set up enough meetings, eTribez risks having salespeople being paid to sit around waiting for prospects to nurture. Mark manages his SDR pipeline. When he qualifies a lead, he sets up a meeting. This constitutes a closed deal in his SDR pipeline, so he moves the contact to the sales pipeline and passes off the lead to a salesperson to manage. For most of Mark’s career, he has worked with enterprise-level sales software and he became accustomed to dealing with complex, time-intensive technology. 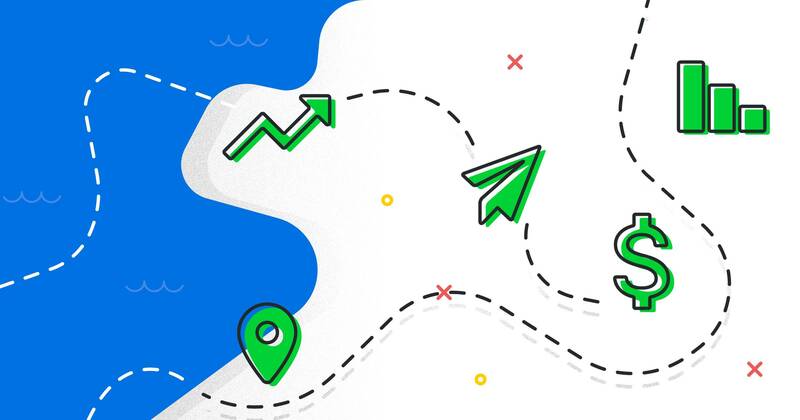 Mark initially worked with Pipedrive on the Silver plan, but his sales team were using so many different techniques and processes - making it almost impossible for him to produce accurate reports and forecasts. There was still so much work to be done for Mark to get the team’s sales process into a position where all relevant information was housed in one place. Luckily, Pipedrive’s activity-based-selling approach and kanban-style pipeline view made Mark’s organizational mission so much easier. You really need to see the drag-and-drop interface to understand how Pipedrive simplifies the sales process for reps using the CRM. This short clip shows the magic of the visually-based pipeline view in action. 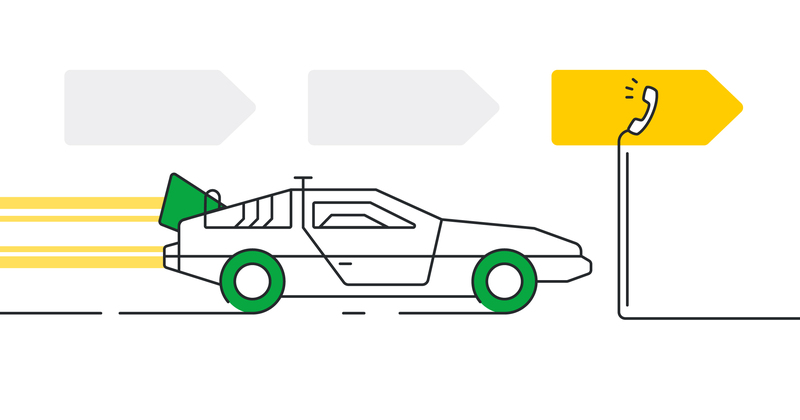 Pipedrive’s Gold plan was built to allow sales teams to focus on what they do best - selling! Mark’s team found themselves in the type of situation the Gold plan is designed to improve. eTribez were using a collection of different tools with individuals using their own unique process. This makes it so difficult to minimize manual work. Visibility for multiple people working on the same deal is a huge challenge. Accurate sales reporting and forecasting takes so much more time when you’re patching together data from a collection of siloed tools. While Mark was excited about the improvements Pipedrive’s Silver plan had already afforded his team, he knew the Gold plan would provide multiple invaluable benefits. The Gold plan has a collection of time-saving features to help you upgrade your sales process from tedious to seamless. The tools available in the Gold plan will help growing sales teams scale faster, bringing new levels of revenue within reach. Mark knew he’d be able to drive adoption among the team more quickly, he’d be able to slash so much time his team was spending on administrative tasks, and he’d be able to bring all of his team’s data into that simple, singular hub. Time to explain the time-saving Gold plan tools eTribez used to make their sales team unstoppable. Mark knew email sync would be a game-changing addition to the sales process he was responsible for developing. Centralized data was a non-negotiable for eTribez. Without email sync, Mark would have to manually organize this information himself. When working on a deal, it’s crucial to be on top of conversations. 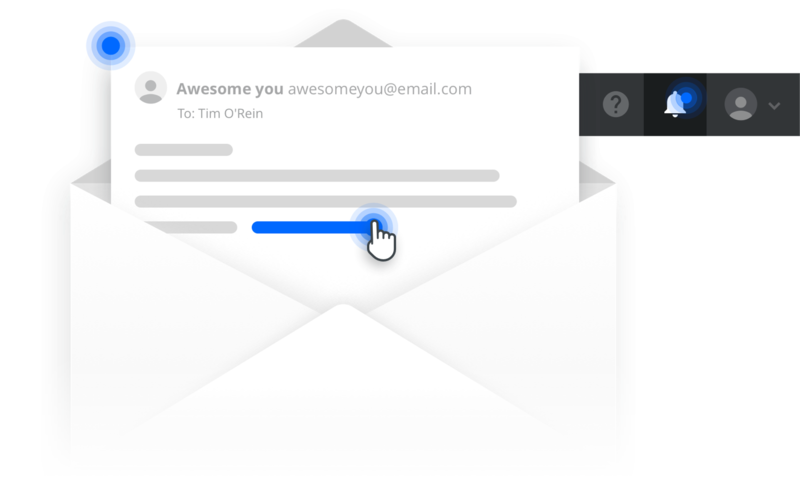 Our full, two-way email sync lets you do just that. With email open and click tracking, you will receive instant notifications when a prospect opens and reads your email. You will also be notified if they’ve clicked on any links, giving you a timely heads up on the best moment to follow up. You can connect your Pipedrive Sales Inbox with any major email provider and enjoy the convenience of being able to link your conversations with contacts and deals. His team can send emails inside the Sales Inbox and keep themselves across their highest priority activities with Pipedrive’s helpful email reminders. You can send more emails while maintaining a significant personal touch with the Gold plan’s Email Templates tool. You can create and customize your own email templates or get started by using some of our preset samples. 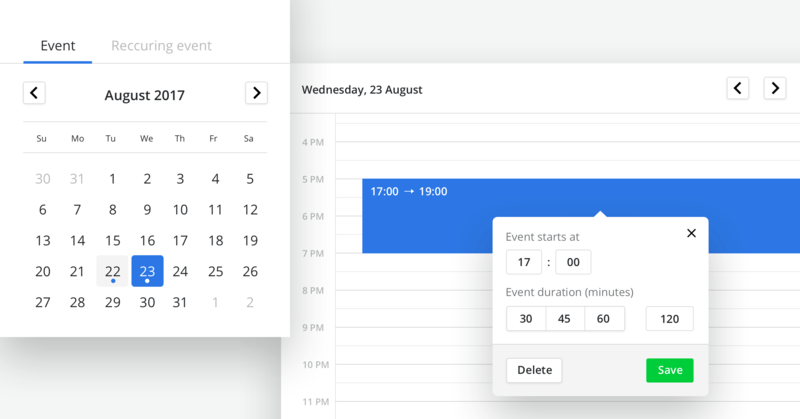 If you’re looking to scale your sales output and save time on admin tasks - this feature is a must-have. 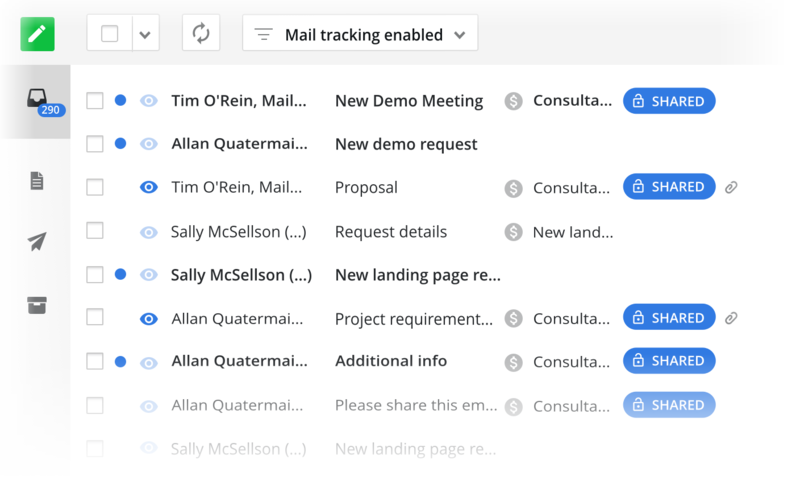 Mark and the sales team at eTribez use the Yesware email automation platform to manage their email marketing campaigns, so this feature is not a necessity. Luckily, Pipedrive offers a simple Yesware integration to allow Mark and the team to keep all of their data in the one centralized hub Mark was so desperate to develop. Need to quickly find out valuable info about your leads? Pipedrive’s Gold plan has got you covered. 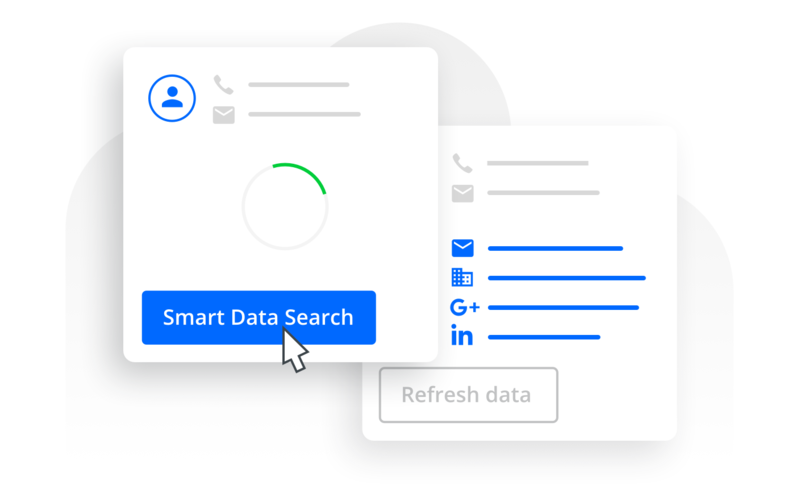 With our Smart Contact Data feature, you can instantly search for detailed information on contacts and organizations. Mark knew this would be a big lure for the eTribez account executives to get excited about using Pipedrive. 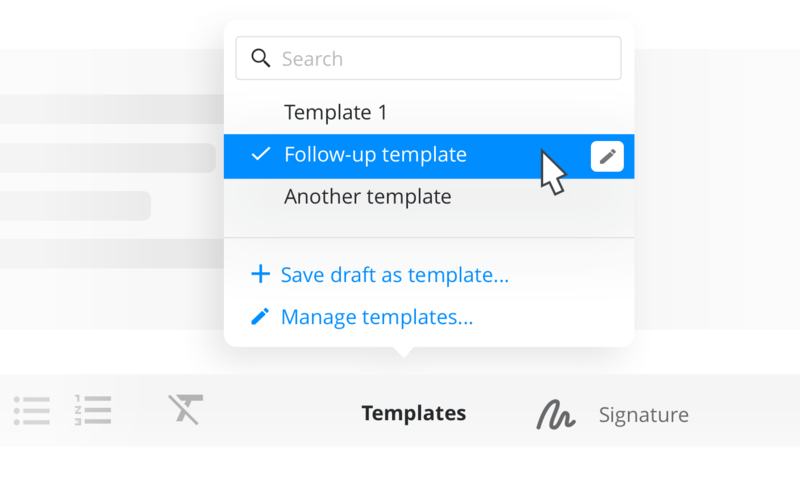 With the Gold plan Scheduler tool, you can wave goodbye to back and forth emails. Mark’s business development role revolved around qualifying leads for his sales team. A prospect is considered qualified when they are ready to schedule a meeting. The Scheduler allows clients to conveniently check your availability and schedule a time suitable for them and for you. You can appreciate the value of this tool for Mark and his team. Mark immediately banished hours worth of admin time out of his team’s workload each and every week. 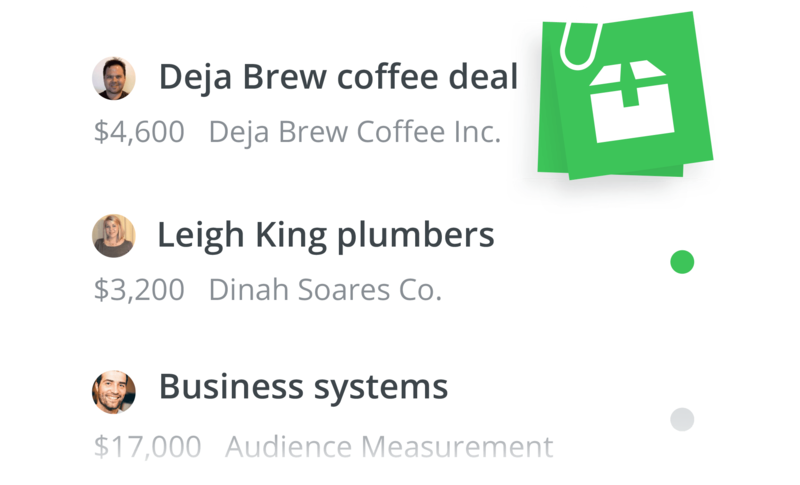 Whether you specialize in selling software or real estate, you can tie what you sell into your deals in Pipedrive. The Gold plan lets you create, customize and catalog your own unique Products. Add product codes, quantity, costs, notes, and more. On top of that, you’ll be able to standardize pricing and clearly categorize and label deals as needed. Etribez aren’t using the Products feature right now, but Mark had this in his sights as soon as Etribez started using the gold plan. What his team sells varies according to the specific needs of the lead. Some productions need to manage casting, others audition scheduling, others bulk applications and many just need production management. Incorporating this information would improve that visibility for the multiple people working across individual accounts. Mark is expecting to put the products feature into action to further focus his sales team’s efforts before the end of the year. If you’re making the decision to try a new CRM, you have to consider the adoption process. Structured, scalable selling requires a consistent, repeatable approach. If the salespeople using your CRM don’t, can’t or won’t use the system properly - you’ll create more problems than you’ll solve. Mark knew this from the outset. The simplicity and usability of Pipedrive was perfect for the team’s needs. But the Gold plan offered Mark the extra tools he needed to scale his sales process effectively. Email sync was the critical asset. Mark could create his centralized sales hub to slash his data management time and allow clear visibility to everyone involved in a given deal. Even better - the Smart Contact Data tool was the carrot he needed to dangle in front of his team to get them into positive habits. He knew once his team tried the Pipedrive system, they’d immediately understand the helpfulness and simplicity of the CRM. Mark and the eTribez team have managed to drive significant growth for their business, scaling their sales to a new level and carving out a clear position as the market leader in their industry. Your business can learn from the success of eTribez. 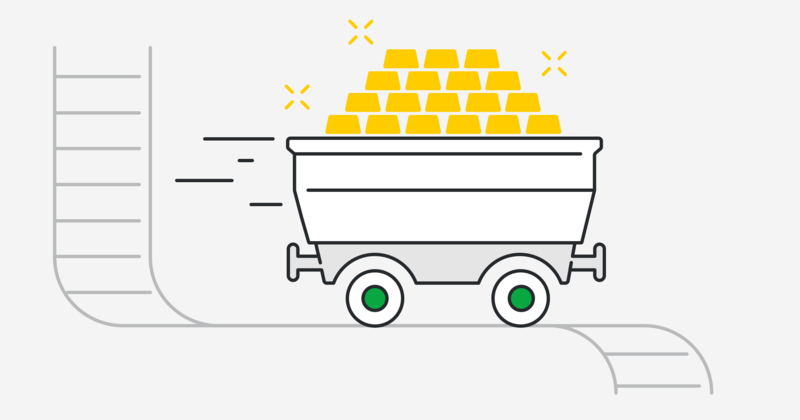 Start your 14-day free trial of the Pipedrive Gold plan right now to see how you can slash your team’s admin and simplify your sales process. But hurry in fast - you can only try Gold for free until July the 3rd!